When you purchase a domain from Media Temple you will get personal identity like IP address (A record) for that domain. Hence, you need to change those records to point it with Blogger.com blog. This post help you to change the A and CNAME records of your Media Temple domain. Click on the domain, which you want to setup in Blogger.com blog. Click on Edit DNS Zone File, it will show you list of “A ” , “CNAME” and all other records that assign by Media Temple . Remove all the existing “A” and CNAME records and add following 4 IP addresses that given by Google. Click on the Save button, now Custom Domain of Media Temple is pointing to Google.com IP addresses. Cross check whether your domain is pointing to new IP address or not. Check it by using http://just-ping.com. 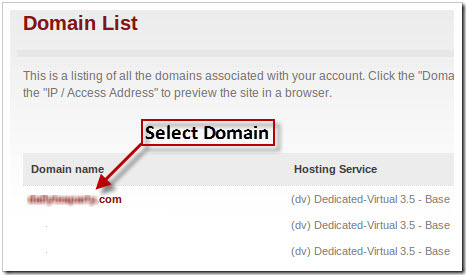 After successful update of IP addresses you can change Blogger.com blog which point to this domain. Read the 1st post in this series about the Custom Domain setup on Blogger for more help.